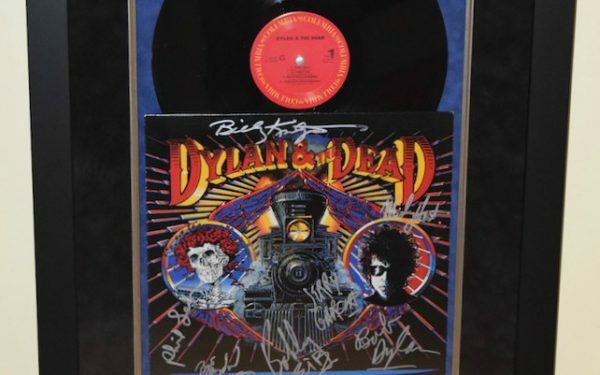 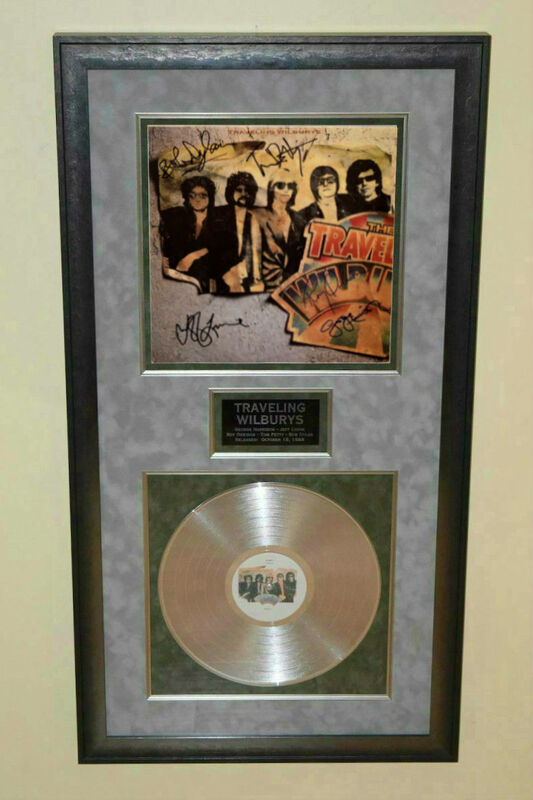 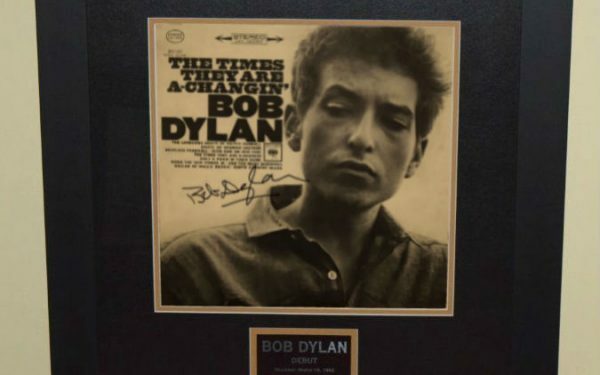 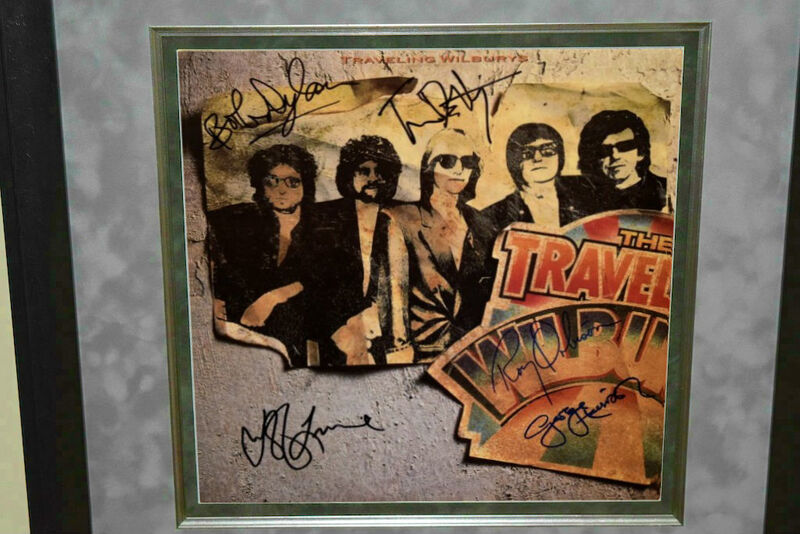 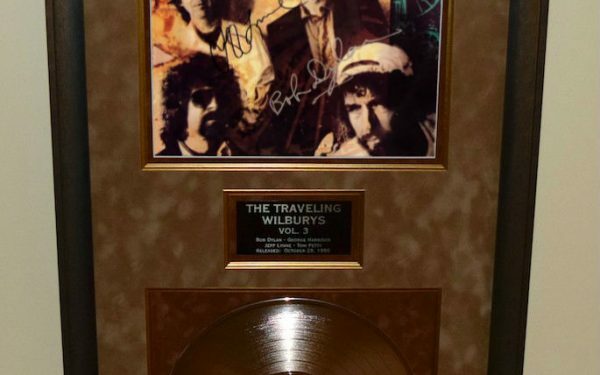 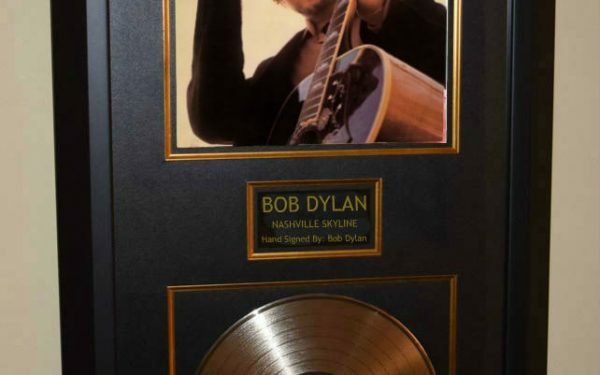 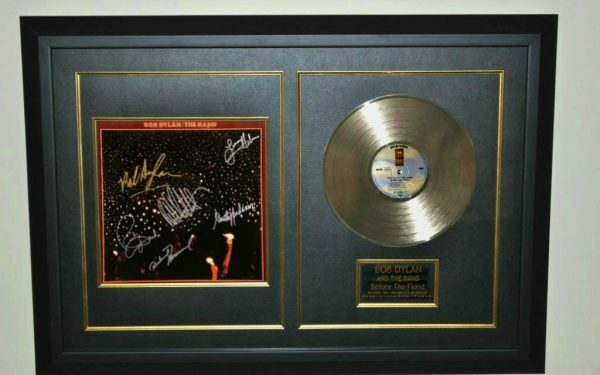 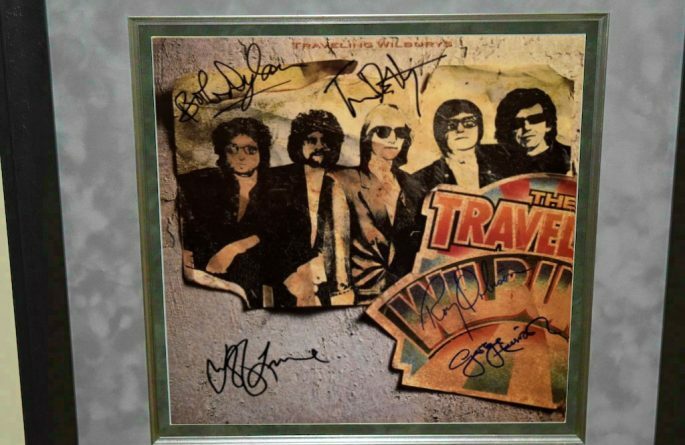 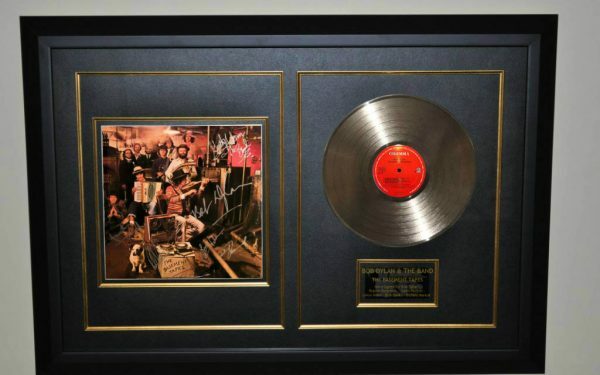 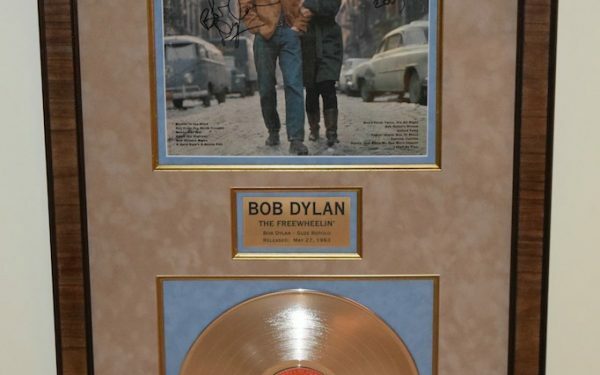 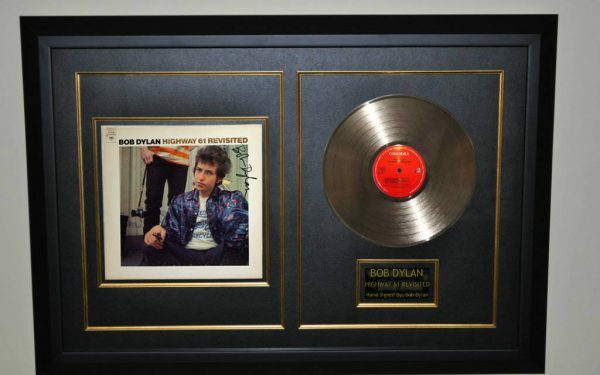 Hand signed by George Harrison, Roy Orbison, Tom Petty, Jeff Lynne, Bob Dylan. 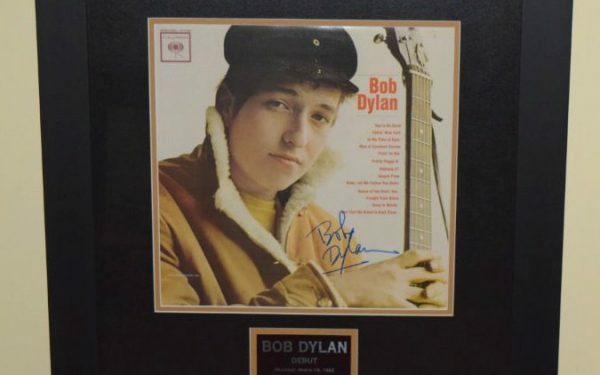 Custom Designed with an imported hardwood frame and perfect Grey and Green Suede. 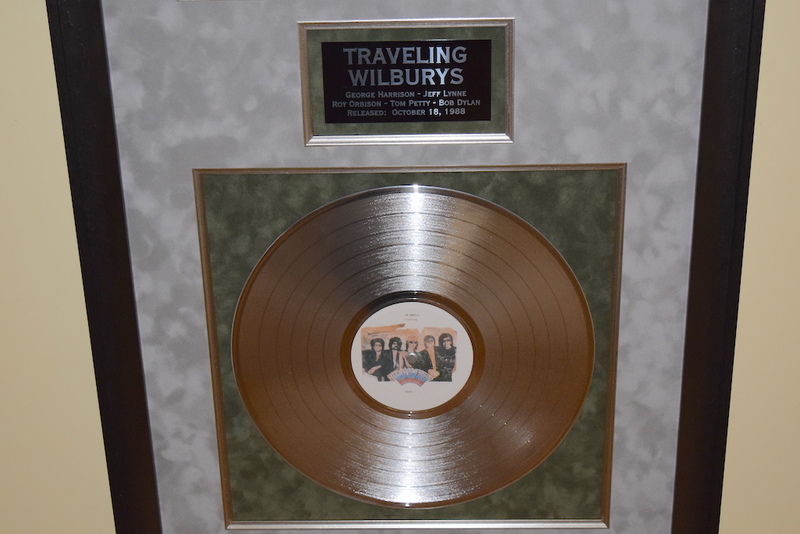 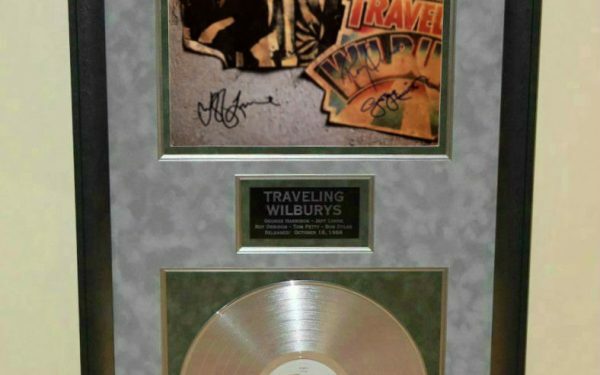 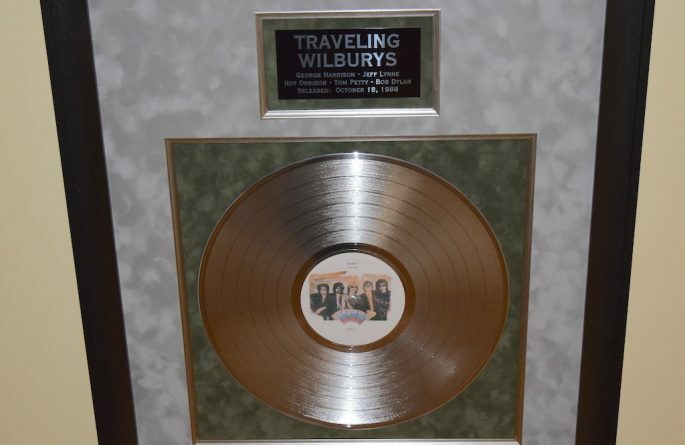 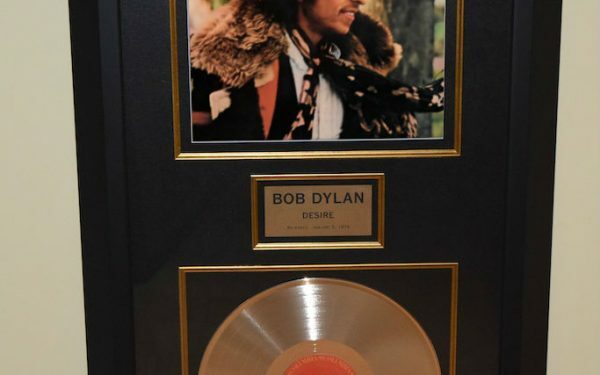 A Genuine RIAA Platinum Award Album is included.